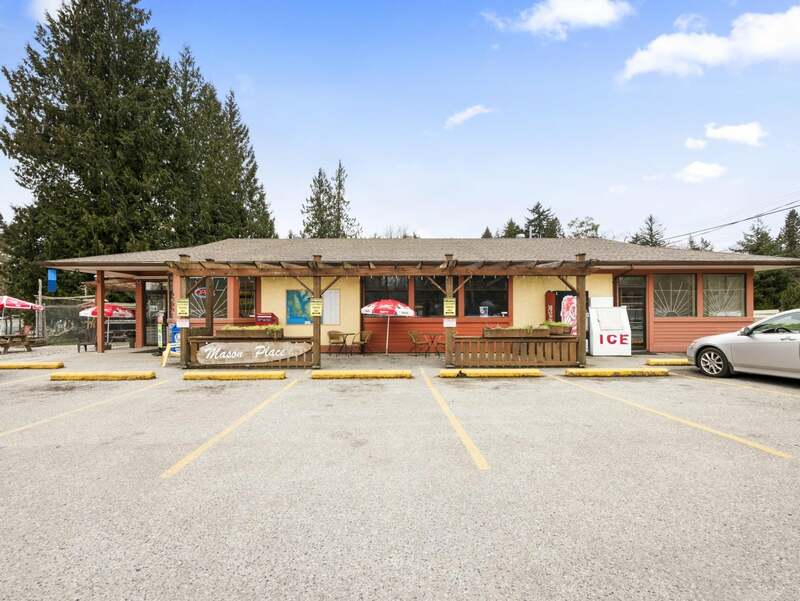 Here’s your chance to own one of the only commercial properties in all of West Sechelt. 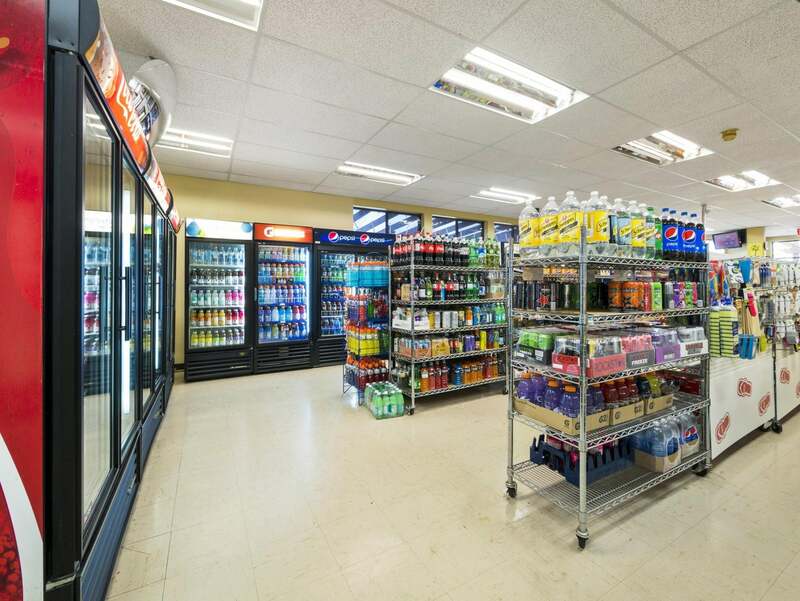 This listing includes the land and the building as well as the busy Mason Place Market, the only convenience store in the area. 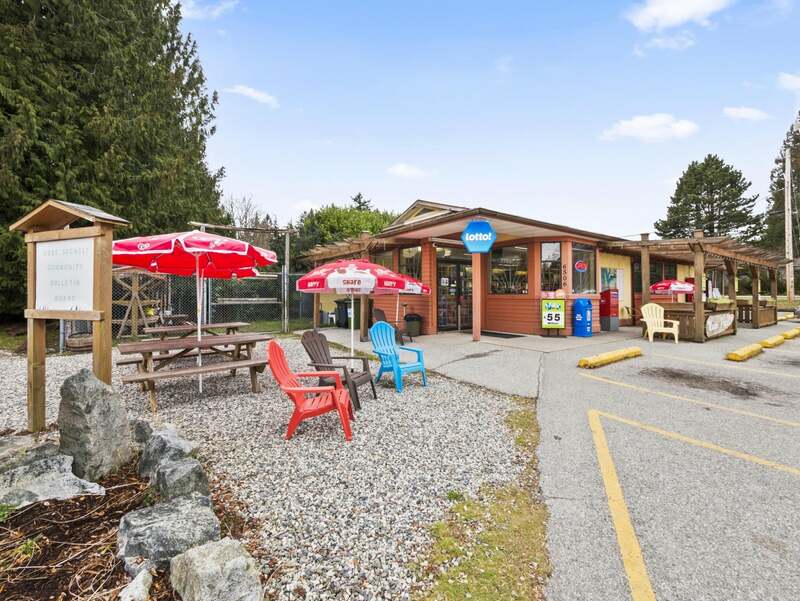 With its community bulletin board, outdoor seating area, and Canada Post mailboxes, this business is a neighbourhood hub for one of the fastest growing communities in West Sechelt. 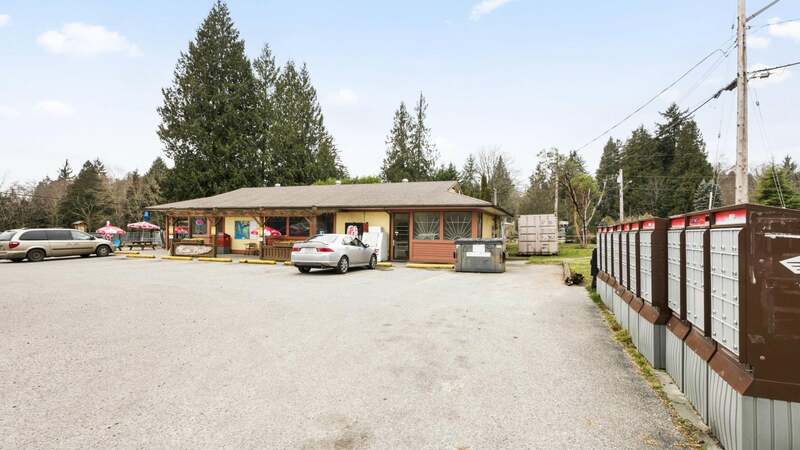 You’re ideally located on a high traffic intersection and right across from West Sechelt Elementary. 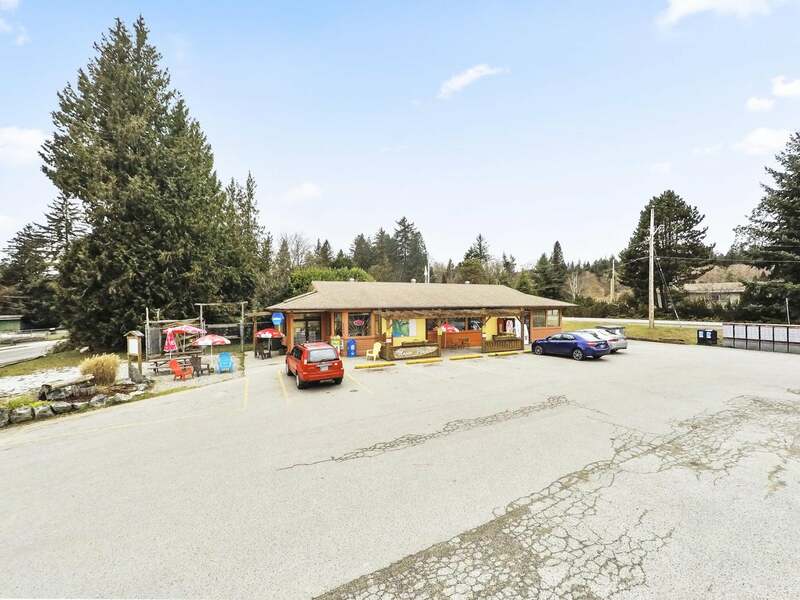 The current owners have allowed part of their parking lot to be used as a child pick up and drop off point for the school across the street. This provides an additional rush of consistent customer traffic weekday mornings and afternoons throughout the school year. 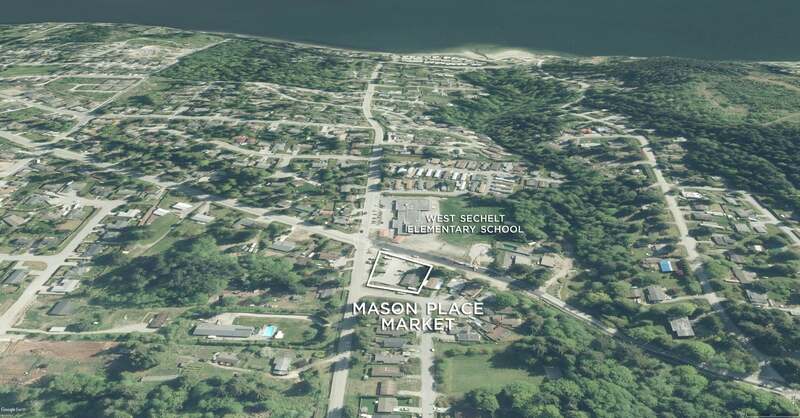 Over the summer, Mason Place Market serves as the gateway to the Wakefield Creek Matrix. These hiking and biking trails are a popular destination for locals and tourists alike. 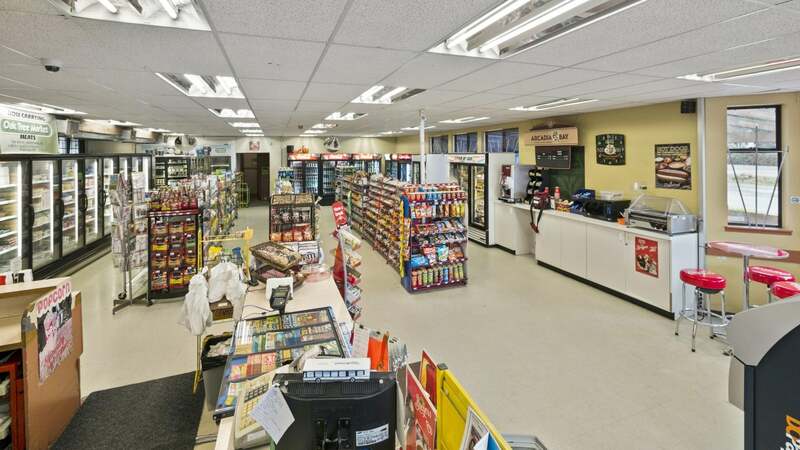 Hikers and bikers use the store as a meeting point before heading out for the day. 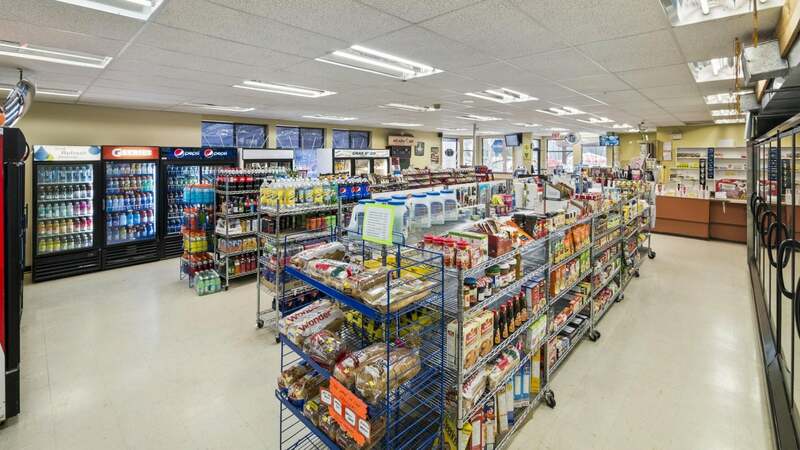 If you’re looking buy a business as well as the commercial land it sits on, you just hit the jackpot with Mason Place Market. 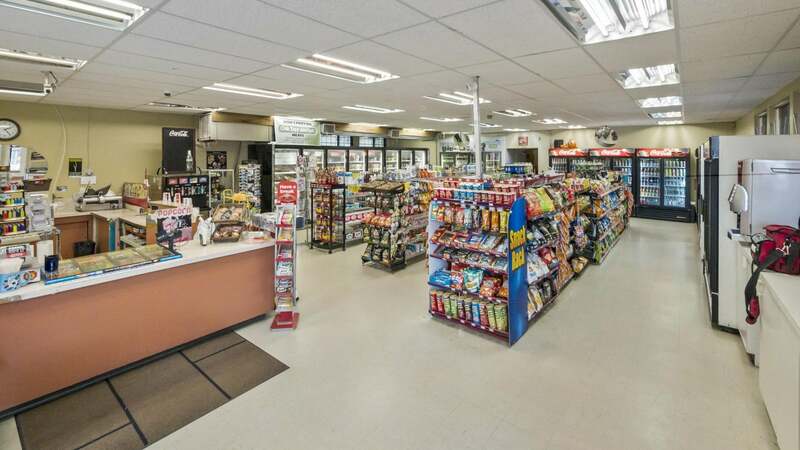 Starting in the parking lot, we enter through the main entrance and find the lottery station as well as pop and ice cream coolers. 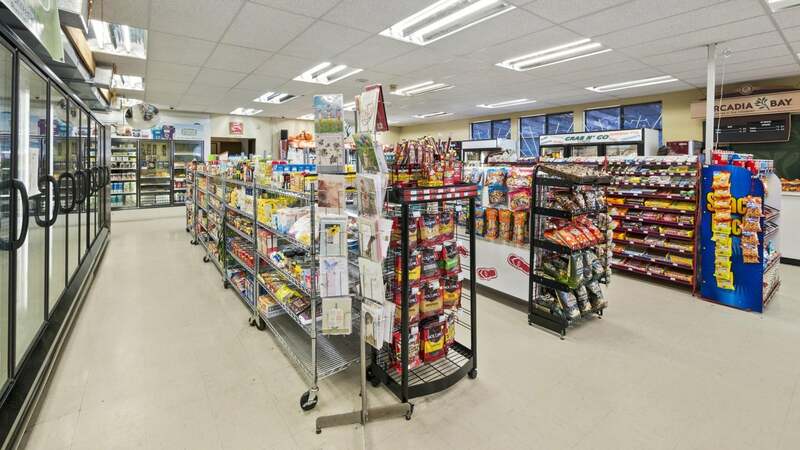 This is also the checkout area where customers pay for their purchases. 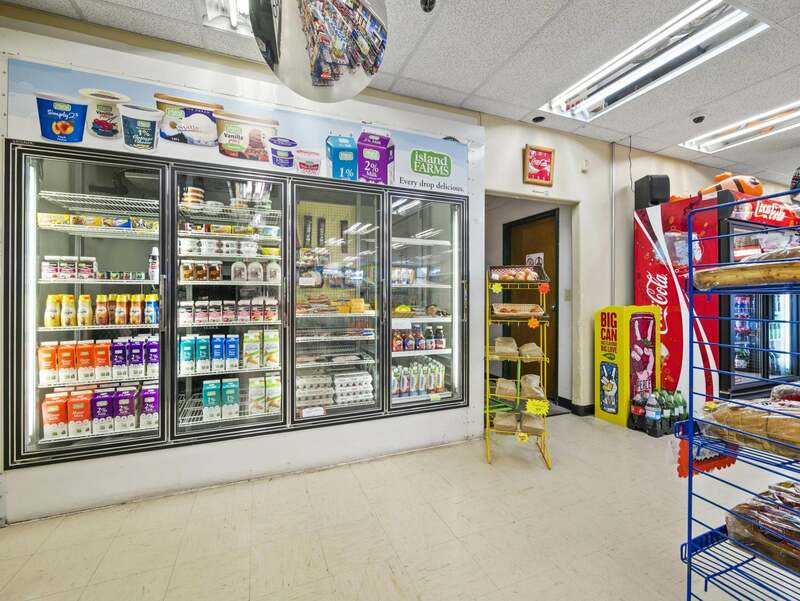 Most of the exterior walls are lined with freezers and coolers. 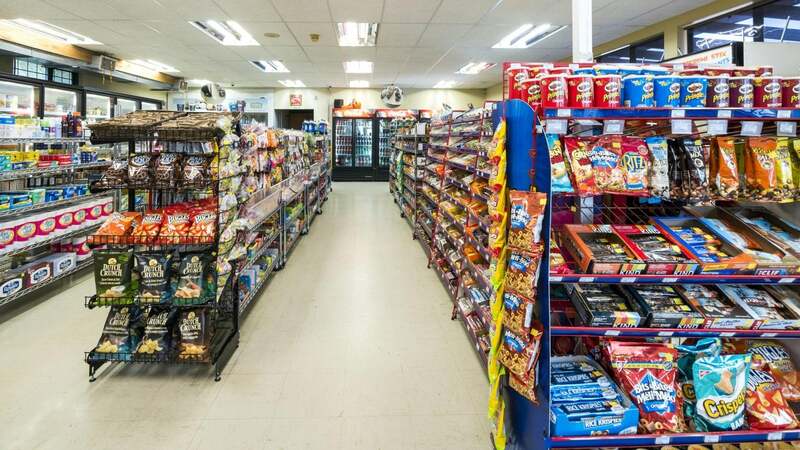 As the only market in the immediate area, shoppers stop for traditional convenience store items like lottery tickets and slushies but residents also stop for things like cereal, canned goods, and even baking supplies. 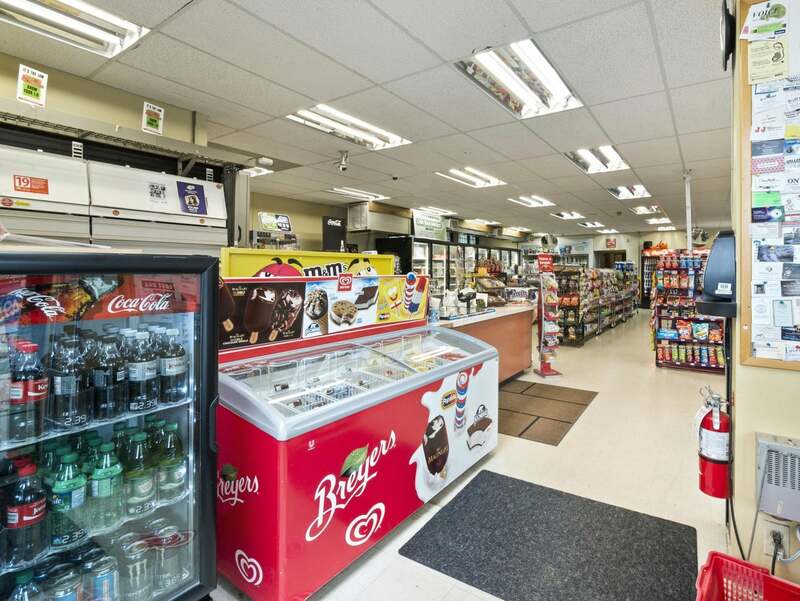 Back at the front of the store, we discover a coffee machine, a microwave, and a hot dog cooker. 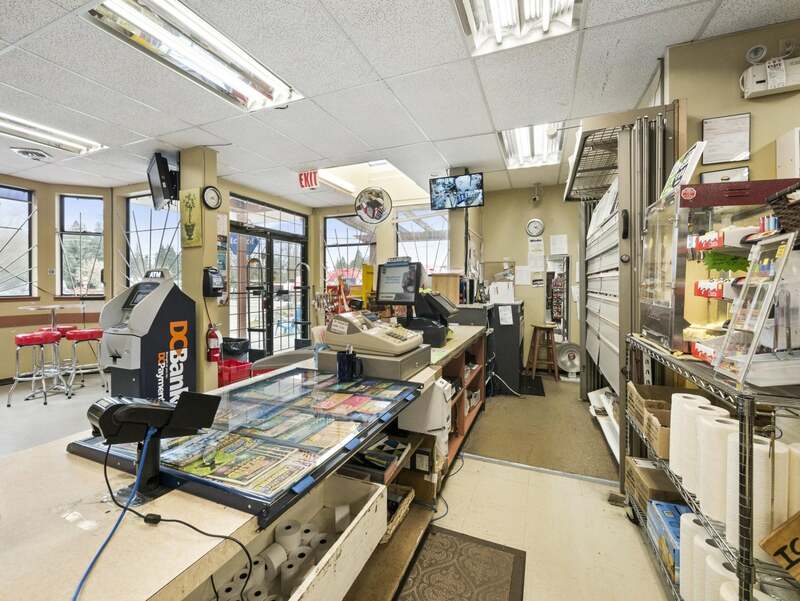 A small seating area allows customers to sit down an enjoy their purchase. 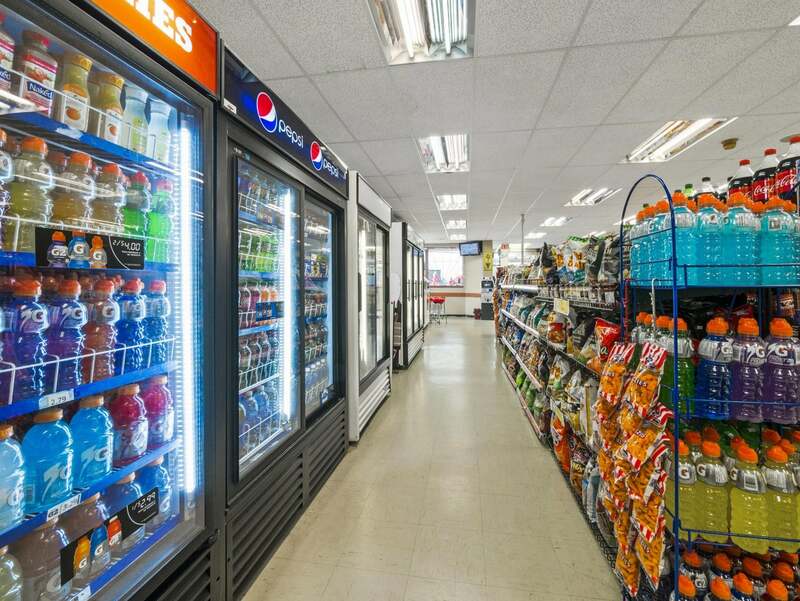 In this aisle, there are items like toiletries and cleaning supplies and even a modest selection of toys. 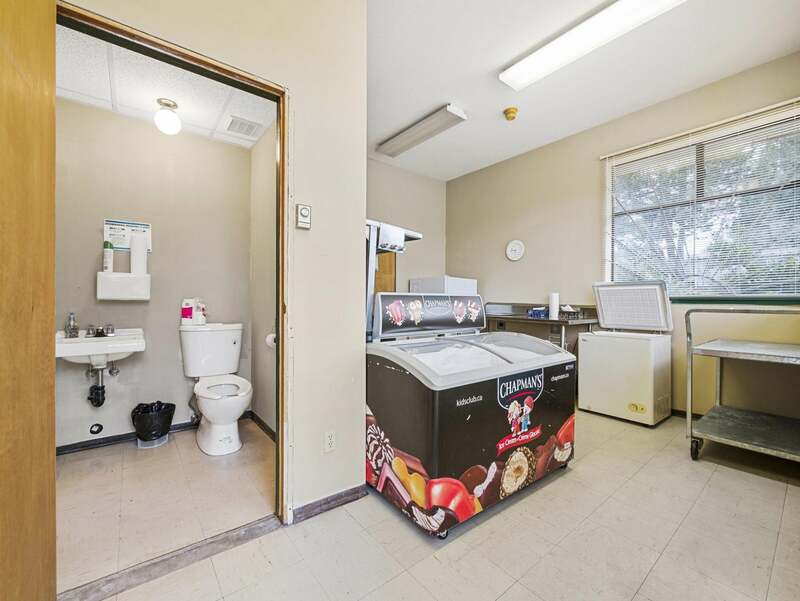 Here at the rear is access to the walk-in cooler as well as the customer washroom. 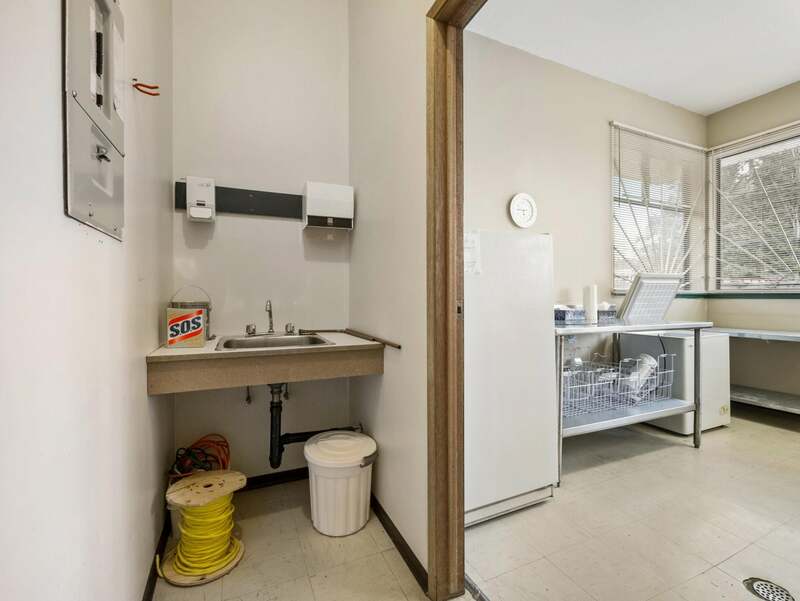 At the very back is a storeroom and the emergency exit. 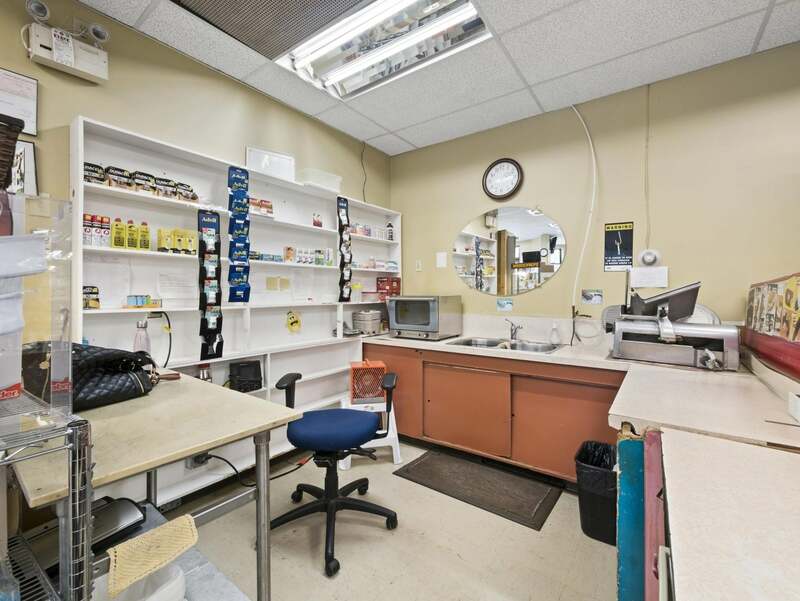 Behind the front counter, we find a work area that could be used to make and sell sandwiches. 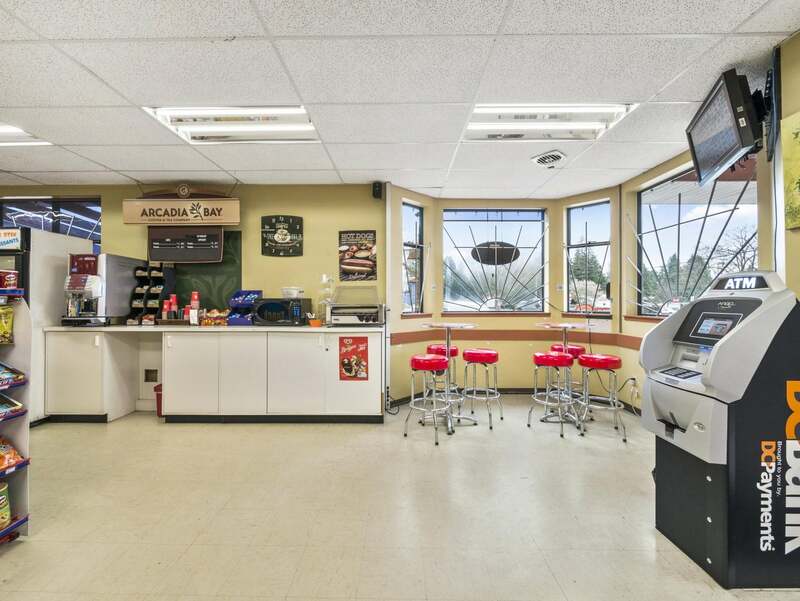 There’s also a popcorn machine and storage for cigarettes and tobacco. 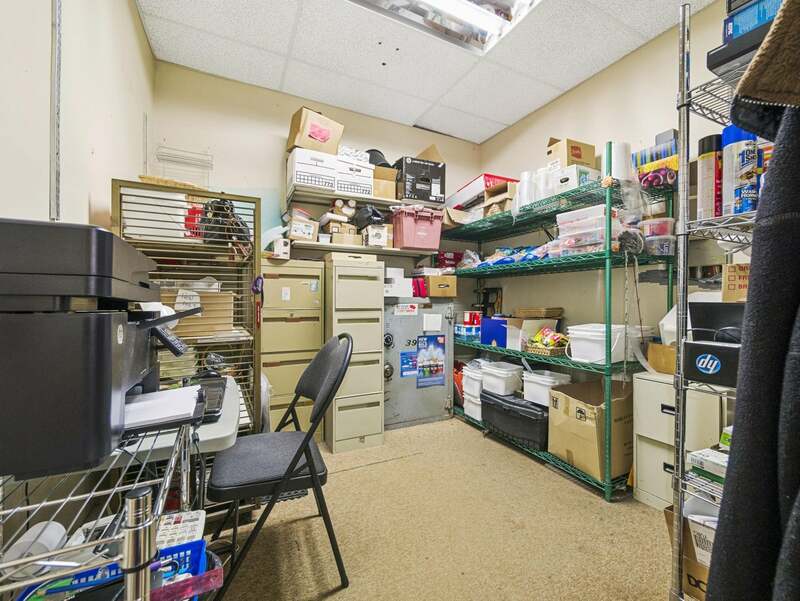 At the end of a short hall is an office space that provides some additional storage. 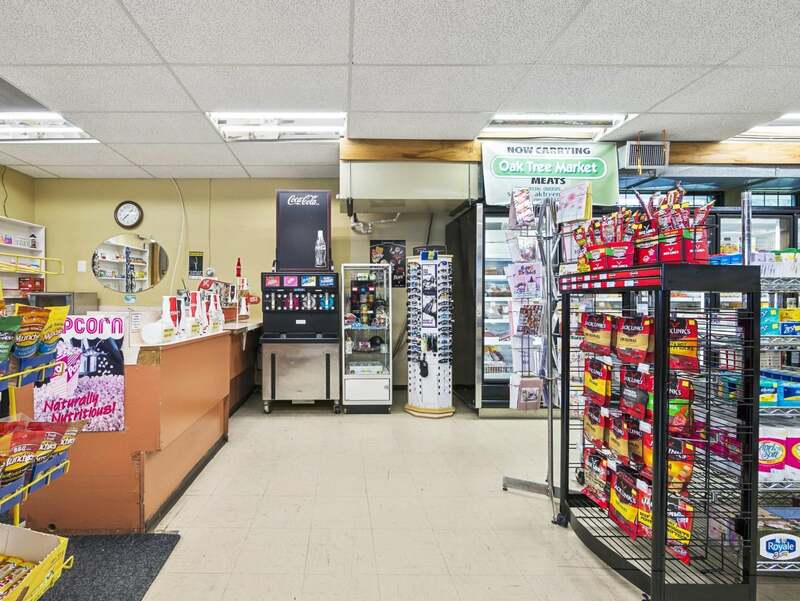 While Mason Place Market occupies most of the building, there is a separate space that could be leased to businesses like a hair dresser, a florist, or a caterer. 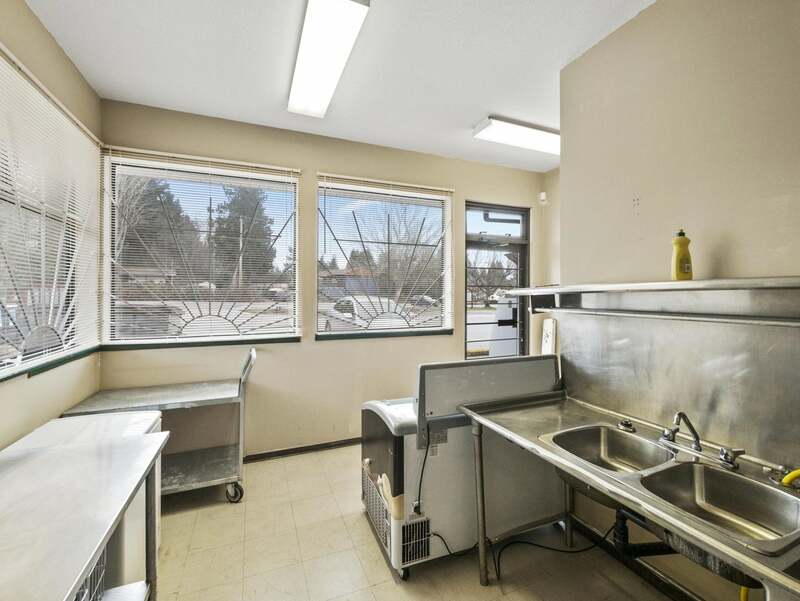 This section has its own entrance and washroom and has been used as a commercial kitchen. 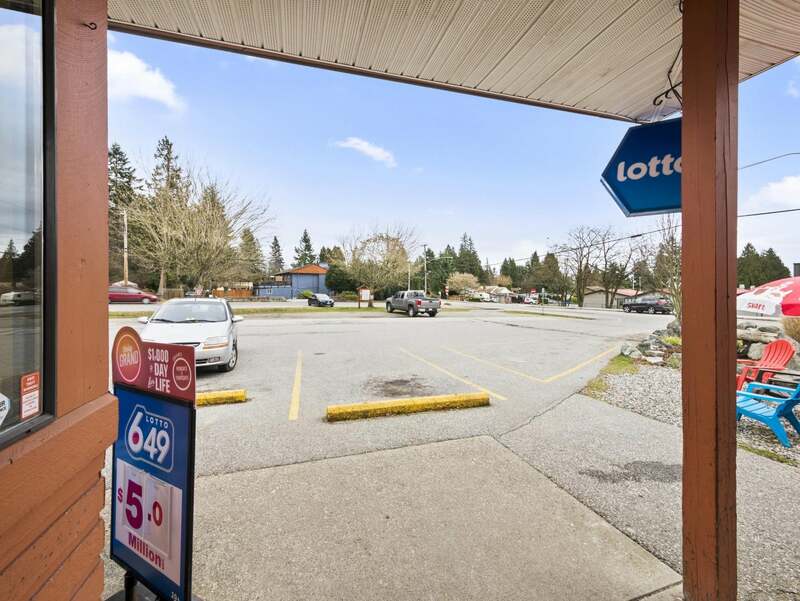 Returning to the convenience store’s main entrance and turning right, we walk past the outdoor seating are and see there’s an outdoor space that could be rented to a third business. This area was previously a neighbourhood garden centre. 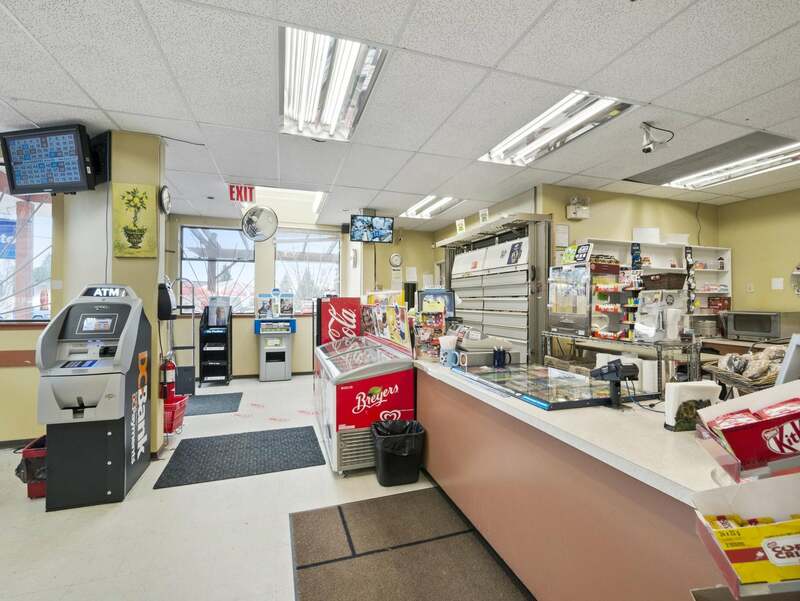 Mason Place Market is your opportunity to own a successful local business while reducing your commute to minutes. 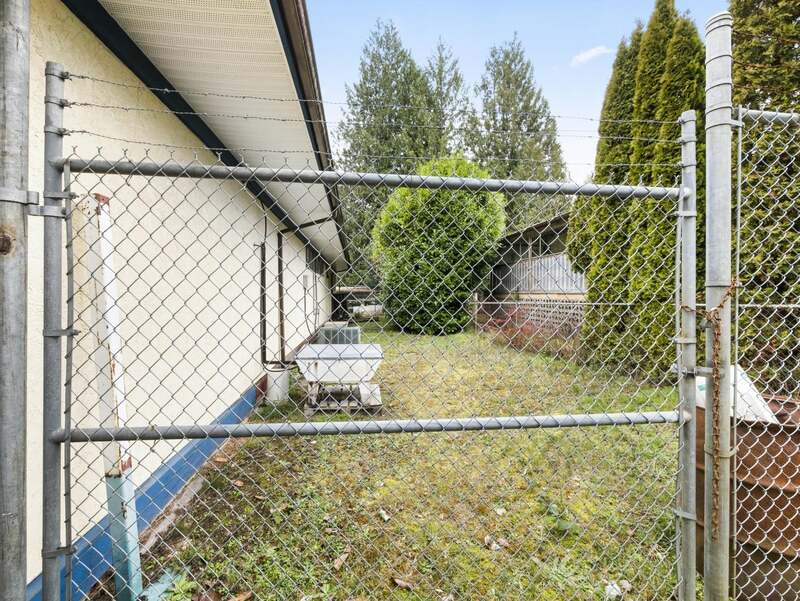 Situated in one of the nicest and fastest growing neighborhoods in West Sechelt, the options with this property are many and you’re limited only by your imagination. Call Tony for your info pack today! 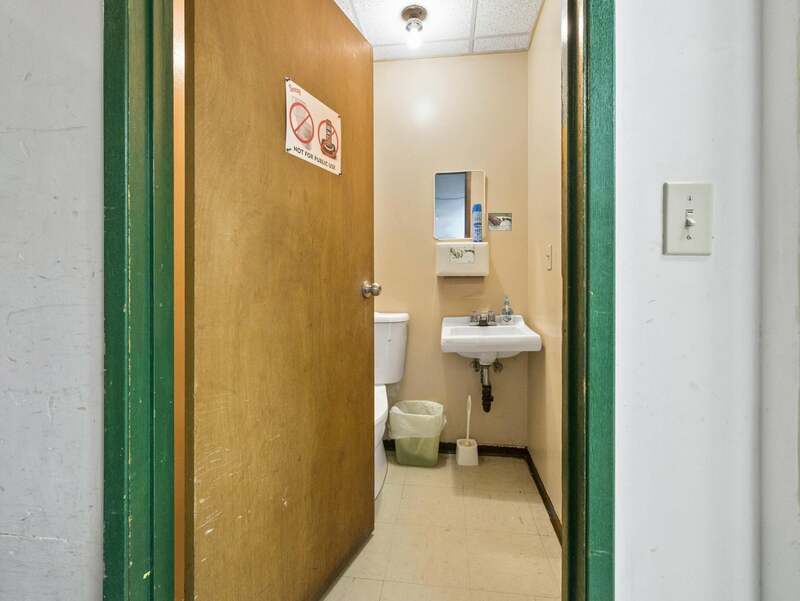 Floor Area 2,297 Sq. Ft. Lot Size 18265 Sq. Ft. 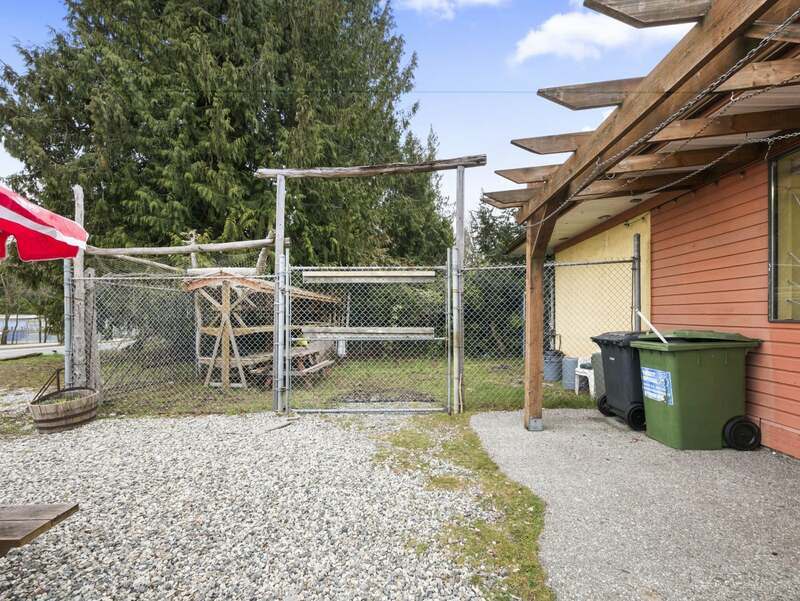 Please send me more information on 6506 Norwest Bay Road, Sunshine Coast. Thank you.